ZTE's sub-division Nubia has launched a new variant of the Nubia M2 smartphone called ZTE Nubia M2 Play. The ZTE Nubia M2 Play comes with a full metal unibody design and runs on the Snapdragon 435 processor. It comes with hybrid dual SIM support and runs on the Android 7.0 Nougat based Nubia UI out of the box. 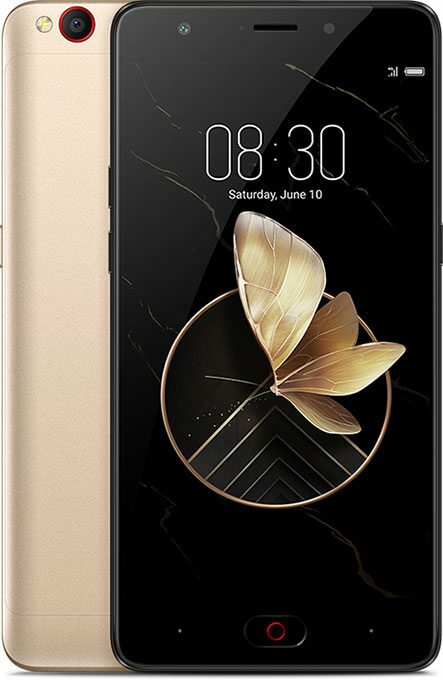 The Nubia M2 Play comes with Black with Gold color option however, the company hasn't revealed the availability and pricing details of the device. The device will be available in China first and we don't have any information available about its global availability. The Nubia M2 with 64GB inbuilt storage was priced at 2699 yuan (around $390) and we can expect lower price for the Nubia M2 Play from the regular Nubia M2. Let's now have a look at the specifications of the Nubia M2 Play. 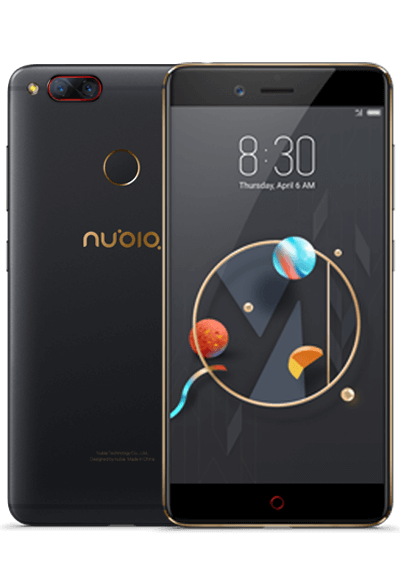 The Nubia M2 Play features a 5.5-inch HD 2.5D curved glass display with 1280 x 720 pixels resolution and is powered by an octa-core Snapdragon 435 processor (4 x Cortex A53 1.4GHz + 4 x Cortex A53 1.1GHz) with Adreno 505 GPU. It comes with 3GB of RAM and it supports 32GB of inbuilt storage capacity that is further expandable up to 128GB with microSD card slot. It runs on the Android 7.0 Nougat OS out of the box with nubia UI 5.0 on top and it also supports hybrid Dual SIMs with nano + nano SIMs or Nano SIM+microSD card. It features a 13-megapixel rear camera with LED flash, Sony CMOS sensor, Hybrid focus (PDAF + CAF), f/2.2 aperture and we also have a 5-megapixel front-facing camera with f/2.4 aperture and 84° wide angle lens. It is backed up by a 3000mAh non-removable battery and connectivity options includes 4G LTE, WiFi 802.11 ac, Bluetooth 4.1 LE, GPS / GLONASS and FM Radio support as well. A fingerprint sensor is available on the front physical home button. To recall, the Nubia M2 was launched back in March with a 5.5-inch Full HD AMOLED display with Corning Gorilla Glass Protection, a 2GHz octa-core Snapdragon 625 14nm processor with Adreno 506 GPU, 4GB of LPDDR3 RAM, 64GB / 128GB internal storage options, expandable storage up to 200GB with microSD card, Nubia UI 4.0 based on Android 6.0 (Marshmallow), Hybrid Dual SIM, a 13-megapixel + 13-megapixel dual rear camera with dual-tone LED Flash, f/2.2 aperture, Sapphire glass lenses, a 16-megapixel front-facing camera with 5P lens, f/2.0 aperture, 80-degree wide-angle lens, a 3630mAh battery with fast charging, connectivity options like 4G LTE, Wi-Fi 802.11ac (2.4/5GHz), Bluetooth 4.1, GPS + GLONASS and additional TAS2555 Amplifier, 7.1 channel Dolby audio and Hi-Fi audio for audio enhancement, a fingerprint sensor and it measures 154.5×75.9×7.0mm and weights 168g.